Genre: Thriller- family- kidnapping- who dun it and why! I dont like maths and I dont like lotteries and I dont like kidnapping- but chucked all together in a book- I might like it! the branch of mathematics concerned with the analysis of strategies for dealing with competitive situations where the outcome of a participant's choice of action depends critically on the actions of other participants. 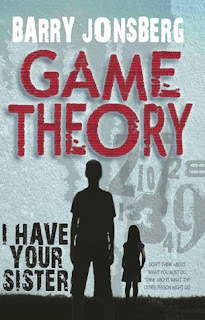 Game theory has been applied to contexts in war, business, and biology"
Game theory has brought me to this point and I must follow where it leads. Even though this is not a game.' Jamie is a sixteen-year-old maths whiz. Summerlee, his older sister, is in the grip of a wild phase. Tensions at home run high. When Summerlee wins a 7.5-million-dollar lottery, she cuts all ties with her family. But money can cause trouble - big trouble. 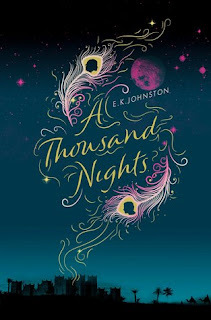 And when Jamie's younger sister Phoebe is kidnapped for ransom, the family faces a crisis almost too painful to bear. 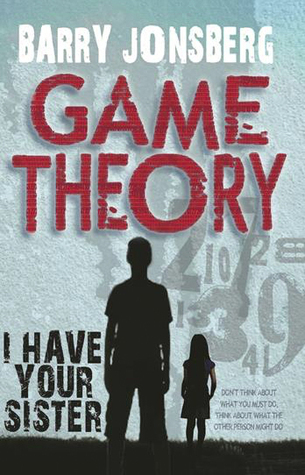 Jamie thinks he can use game theory - the strategy of predicting an opponent's actions - to get Phoebe back. But can he outfox the kidnapper? Or is he putting his own and his sister's life at risk? 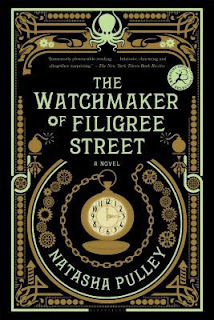 A brilliant, page-turning novel from a superb storyteller. My beautiful great niece has a club foot. She is six weeks old. I am in love with her already! The medical intervention and supports she has had already is amazing. She has had little plaster casts, surgery and now whopping big plaster of paris casts. then she will have a brace- by the time she is four she will be running around like any child! She will adventure, she will play on a park and she will chase puppies! It has not always been that way fro kids with club feet- especially kids in a war zone! "The War That Saved My Life was phenomenal. An incredibly emotional and poignant read about one girl and the life she believes she deserves. Her mothers emotional and physical abuse due to her malformation from birth, nine year old Ada survives on dinner scraps and caring for younger brother James. She crawls around her one room apartment, not daring to attempt to stand for the fear of another beating at the hands of her mother, keeping the young girl compliant by threatening to harm James. Through her mothers constant verbal abuse, Ada would never dare to hope for more. A life where she can feel the sun on her face beyond the glass window where she sits, and watches the bustling life in London pass her by. My heart ached for Ada. A girl so young, yet has never truly known what it is to have been loved or felt cared for. Her mother was not only neglectful but horrifically abusive, often sending Ada to spend hours tucked away inside a small cupboard for simply existing. 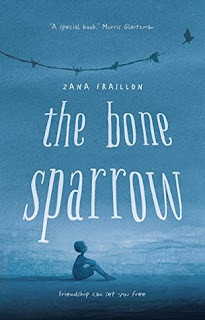 So when the opportunity arises for children to escape the city in the hope that they will never see the conflict of a Nazi Germany invasion, Ada begins to covertly teach herself to stand then walk, the two siblings running towards freedom. At last I understood what I was fighting, and why. And Man had no idea how strong a fighter I'd become. Susan lives alone, until two malnourished children and forced into her care in the small Leeds coastal town. Susan hasn't any idea how to raise two children, especially since her best friend had passed away leaving Susan barely taking car of herself. Although she never leaves the children wanting for anything, it's Ada who sees Susan as just another person who doesn't want her. But as the weeks pass and both Ada and James return to health, the siblings thrive under Susan's care and Ada begins to hope for more. A remarkable young lady who's story left me breathless and stole my heart. 1883. Thaniel Steepleton returns home to his tiny London apartment to find a gold pocket watch on his pillow. Six months later, the mysterious timepiece saves his life, drawing him away from a blast that destroys Scotland Yard. At last, he goes in search of its maker, Keita Mori, a kind, lonely immigrant from Japan. Although Mori seems harmless, a chain of unexplainable events soon suggests he must be hiding something. When Grace Carrow, an Oxford physicist, unwittingly interferes, Thaniel is torn between opposing loyalties. 19 short stories about war - with a sci/fi twist- focusing on children in war or conflicts. 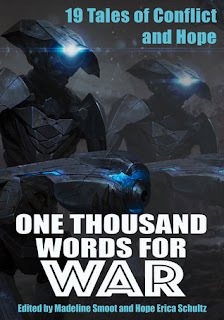 Imaginative and original, One Thousand Words for War explores in various fantastic settings the different types of conflict—from powerful internal and external conflicts with the potential to destroy the main character’s world to the peace that comes from accepting change. 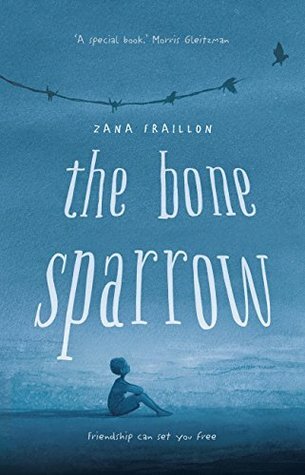 Whether it's a transgendered girl standing up to bullies or a child soldier trying to save his fellows from war, this collection shows the powerful ways teens can overcome and embrace extraordinary circumstances. Genre:Real life- one of those books- detention center story. PLEASE HELP US TO BE FREE. WE CAN'T LIVE WITHOUT HOPE." Some days I am so pleased I am not Australian. If I was Australian I would be so ashamed of how they treated refugees, I would ashamed of the humans rights that they disregard. Australia is doing this thing badly! This story will simply explain why! This is a confronting book! Sometimes, at night, the dirt outside turns into a beautiful ocean. As red as the sun and as deep as the sky. I lie in my bed, Queeny's feet pushing up against my cheek, and listen to the waves lapping at the tent. Subhi is a refugee. Born in an Australian permanent detention centre after his mother fled the violence of a distant homeland, life behind the fences is all he has ever known. But as he grows, his imagination gets bigger too, until it is bursting at the limits of his world. The Night Sea brings him gifts, the faraway whales sing to him, and the birds tell their stories. 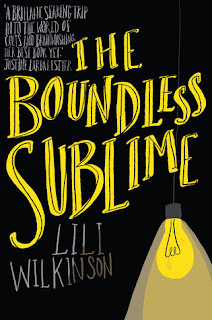 The most vivid story of all, however, is the one that arrives one night in the form of Jimmie, a scruffy, impatient girl who appears from the other side of the wires, and brings a notebook written by the mother she lost. 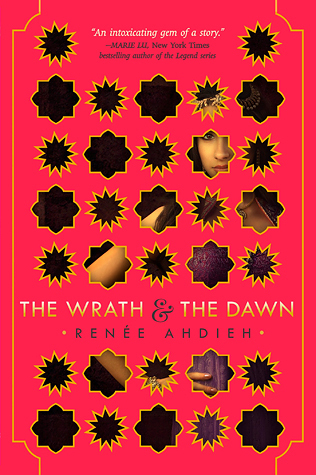 Unable to read it, she relies on Subhi to unravel her own family's love songs and tragedies. Thus is Pitch Perfect in a book!!! "Funny and fast-paced music-based romance"
"But that's life. Whichever road you choose, you're going to be missing out on something." This book has me excited- I love history, I love big old buildings, I love royal court based stories and I love the cover of this book! The story takes place in 1779, transporting readers to the extravagant court of Nikolaus I, Prince Esterházy of Hungary. Charlotte is a widowed young baroness, invited to stay at the palace during her mourning period by her sister Sophie, the prince’s mistress. The entire place is also abuzz with the arrival of Europe’s foremost castrato singer Carlo Morelli, here to enjoy the operas and grand musical productions that have made the Eszterháza so famous. Other visitors and guests that have come from afar include a Prussian spy and a notorious alchemist, setting the stage for the main event. However, tragedy strikes as the prince’s opera troupe loses two of its most important performers. Franz Pichler, another actor, is punished in connection to his colleagues’ disappearance, while Anna, a young maid in Charlotte’s employ is suddenly vaulted to stardom when she is chosen to replace one of the missing singers. A sinister plot is hatching in the hands of a shadowy group at the palace, and as both Charlotte and Carlo are drawn into their mysterious web, the two of them are in turn drawn to each other even though they know deep down that a future together is forbidden. Still, if the threat to the royal family is not stopped, there might not even be a future for anyone at the Eszterháza. Question One: a leader of a chamber ensemble or orchestra attached to a German court. "A touching tale...with wild humor and panache"
If I had to find ten things worth seeing or doing on Earth to save the planet what would they be? Hmmm- First- listen to a huge choir singing African music! Yes that would be number one! Second- going up the Southern alps and watching a sunset- mountains and the sun- that would be worth saving. Number Three- Watching a bunch of men from a fishing village working together to gather the nets in while they sing- and the whole village coming to help-. Number Four- the birth of a baby. Number Five- Watching a boy play with his puppy- who could destroy that! Number Six- A multi generational family- eating, laughing, singing playing and being together- GOLD! Number Seven- A bunch of giraffes lopping across the savanna towards the elephants who are playing in the mud! Number Eight- a mother breast feeding her child. Number Nine- get lost in the wilderness of New Zealand- no-one would have the heart to destroy that beauty and my finale- Number Ten- invite them home to our place for dinner- with my whole family- so they can see what love looks like! The Blythes are a big, warm, rambunctious family who live on a small farm and sometimes foster children. Now Prez has come to live with them. But, though he seems cheerful and helpful, he never says a word. Then one day Prez answers the door to someone claiming to be his relative. This small, loud stranger carries a backpack, walks with a swagger and goes by the name of Sputnik. As Prez dithers on the doorstep, Sputnik strolls right past him and introduces himself to everyone in the household. Prez is amazed at the response. The family pat Sputnik on the head, call him a good boy and drop food into his mouth. 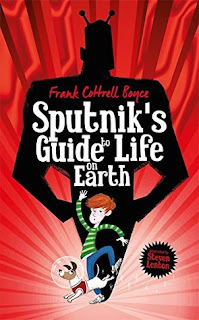 It seems they all think Sputnik is a dog. Genre: Psychological tale of suspense. 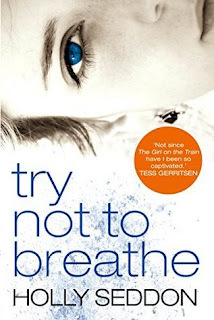 "Try Not to Breathe by Holly Seddon is an intense psychological thriller which kept me enthralled to the very end." "Amy Stevenson was only fifteen years old when it happened; her abduction in 1995 was the talk of the town and headlines in the newspapers for a long time afterwards. But Amy had been found alive much to her family’s delight. That was short-lived though when it was realised that Amy would never be the same again – completely unable to communicate and in a vegetative state, the horror of what had happened was intensified by the fact that Amy’s attacker was never found. Fifteen years later reporter Alex Dale discovered Amy’s story quite by accident. And she felt compelled to dig into Amy’s past and do her best to bring justice to Amy. Alex had her own demons though; her marriage had failed and her career had stalled. The alcohol which ruled her life had wrecked her life – so she determined she could work around it; still having her necessary drinks but setting her rigid schedule to include solving Amy’s cold case. A spin-off from The Seven Realms series. "Hope is the thing that can't be reined in by rules or pinned down by bitter experience. It's a blessing and a curse." Set in the world of the New York Times bestselling Seven Realms series, a generation later, this is a breathtaking story of dark magic, chilling threats, and two unforgettable characters walking a knife-sharp line between life and death. 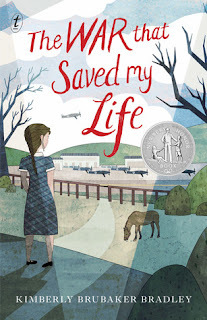 This dazzling beginning to a new series is indispensable for fans of Cinda Williams Chima and a perfect starting point for readers who are new to her work. Adrian sul’Han, known as Ash, is a trained healer with a powerful gift of magic—and a thirst for revenge. 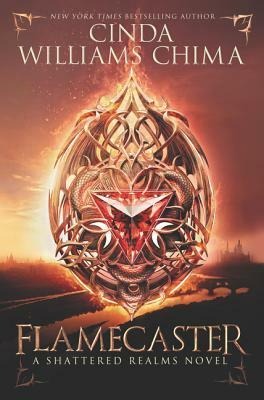 Ash is forced into hiding after a series of murders throws the queendom into chaos. Now he’s closer than ever to killing the man responsible, the cruel king of Arden. With time running out, Ash faces an excruciating choice: Can he use his powers not to save a life but to take it? Abandoned at birth, Jenna Bandelow was told that the magemark on the back of her neck would make her a target. 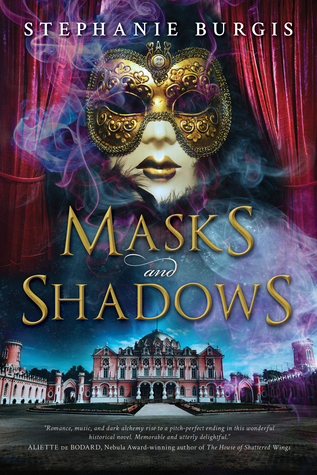 But when the King’s Guard launches a relentless search for a girl with a mark like hers, Jenna assumes that it has more to do with her role as a saboteur than any birth-based curse. Though Jenna doesn’t know why she’s being hunted, she knows that she can’t get caught. Eventually, Ash’s and Jenna’s paths will collide in Arden. Thrown together by chance and joined by their hatred of the ruthless king, they will come to rescue each other in ways they cannot yet imagine. We have a Giraffe in the library- we do- a real one- loved, hugged and very much a part of our family. So I am buying him books to read - just for him. This in one of them and Jaime loves it!! Honestly he could not get his neck out of it! He now knows all about penguins- he told me- even though he cannot make any noises! Dear You, Whoever You Are, Who Lives on the Other Side of the Horizon. I am Giraffe. I live in Africa. I'm famous for my long neck. Please tell me all about yourself. Do you recognize this authors name- She wrote "The Babysitters Club." It is good to have a book about dogs and how much kids love them. if our dog had of run away our son would not have slept a wink until Rex the Fox tTerrier/Jack Russell cross was back snuggled up at his feet! We too would have had search parties streamed all over our town. 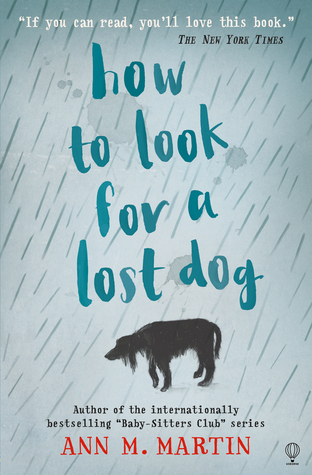 A boy with a lost dog- it does not work. It is good to understand Autism- it is good to feel the heartbeat of a child who is in her world that is autistic. 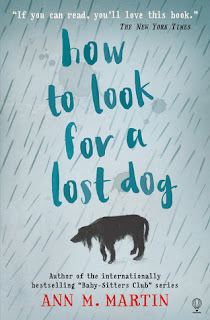 This book is kind of like The Curious Incident of the Dog in the Night-Time for younger readers. A gripping YA novel about an ordinary girl who is unsuspectingly inducted into a secretive modern-day cult. I had cults- I can say that because most cultists wont be reading this blog. They wont be allowed too. I went to school with a great young woman who was in a cult. It was heartbreaking. This stunning, talented, beautiful, intelligent young woman- who could not move without being observed and spoken about. She had zero freedom and her amazing personality was engulfed by rules and elders who ensured they were kept. Julianna- I have never forgotten you as I promised I would not! I hope in the mix of your controlled life you have found space to be and explore and journey. As promised- if you call- I will come- still! Ruby Jane Galbraith is empty. Her family has been torn apart and it's all her fault. The only thing that makes sense to her is Fox - a gentle new friend who is wise, soulful and clever, yet oddly naive about the ways of the world. He understands what she's going through and he offers her a chance to feel peace. Fox belongs to a group called the Institute of the Sublime - and Ruby can't stay away from him. So she is also drawn in to what she too late discovers is a terrifying secretive community that is far from the ideal world she expected. Can Ruby find the courage to escape? Is there any way she can save Fox too? And is there ever really an escape from the far-reaching influence of the Institute of the Sublime? 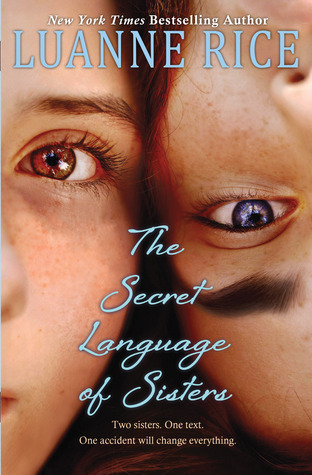 My sister and I never had a secret language- I was probably far to annoying and she probably just wanted me a long long way from her- she would off had to shout! I am sure though if we had off had a major event occur in our lives we would of been there for each other- and I would like to thin that we would now- she would not need to shout now! As for texting and driving- it is just stupid and if you don't believe me- read this book to make it hit home. Pull over people- just pull over if you have to get that text! When Ruth Ann (Roo) McCabe responds to a text message while she’s driving, her life as she knows it ends. The car flips, and Roo winds up in a hospital bed, paralyzed. Silent. Everyone thinks she’s in a coma, but Roo has locked-in syndrome—she can see and hear and understand everything around her, but no one knows it. She’s trapped inside her own body, screaming to be heard. Mathilda (Tilly) is Roo’s sister and best friend. She was the one who texted Roo and inadvertently caused the accident. Now, Tilly must grapple with her overwhelming guilt and her growing feelings for Roo’s boyfriend, Newton—the only other person who seems to get what Tilly is going through. But Tilly might be the only person who can solve the mystery of her sister’s condition—who can see through Roo’s silence to the truth underneath. Volcanic eruptions, sinkholes, ground shakers--everything points to their unhappiness. At least that is what the king of Armania believes. His son, Prince Wilek, thinks his father's superstitions are nonsense, though he remains the ever dutiful heir apparent to the throne. Epic. 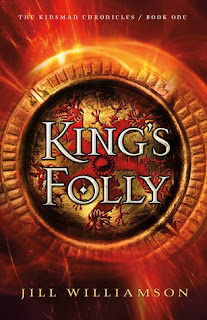 This is the word that immediately comes to mind when I think ofKing's Folly by Jill Williamson. Fantastic, action-filled, diverse, brilliant. 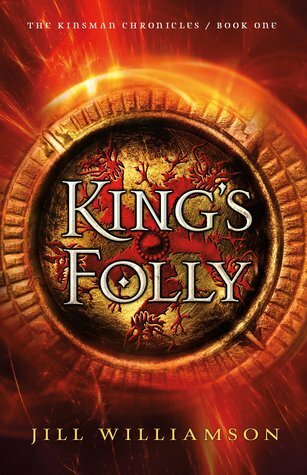 This book is the first in a new series called THE KINSMAN CHRONICLES; (it's actually a prequel series to Jill Williamson's other fantasy trilogy). And it's a tremendous start! I was captivated from the beginning. What if everything I thought was magic- could be real! I think it would be magic to have a yummy meal appear on my plate with a click of my fingers. It would be magic to say a few words of gobble and a hidden garden appear at our place full of beauty and niceness.It would be magic for all words of hate and destruction to be control alt deleted! But evil clowns- oh yeah- a book with evil clowns- I always knew this about clowns! You follow a young boy, Ned, who just turned 13 enter into a world of magical, crazy creatures that live in secrecy to the 'normal' human world. However, as soon as Ned turned 13, his boring old Dad wanted to bring him to the circus as a present but their path is blocked by evil clowns, yes there are actually evil clowns in this story, which turns into a wild chase. 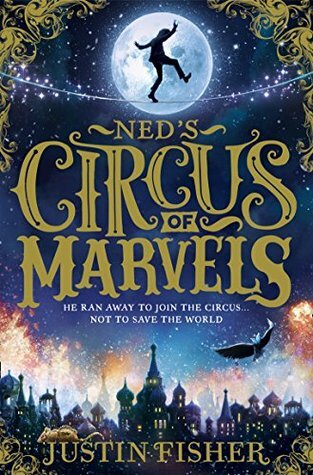 This is just the beginning for Ned though as he is forced to hide within a circus troupe. Ned Waddlesworth has always considered his world to be exceptionally ordinary. Until the day he discovers it ISN’T. AT ALL. Because on Ned’s thirteenth birthday he discovers that everything magical he’s ever read about or imagined is REAL. And without him, the world will soon be engulfed in monstrous beasts and beings. So with the help of a robot mouse, a girl witch and a flying circus unlike any other, it’s up to Ned to swoop in and save the day! Roll up, roll up, and prepare to be AMAZED by Ned and the marvelous, magical, monstrous flying circus! The rose’s rarest essence lives in the thorns. THE WRATH AND THE DAWN: Every dawn brings horror to a different family in a land ruled by a killer. Khalid, the eighteen-year-old Caliph of Khorasan, takes a new bride each night only to have her executed at sunrise. 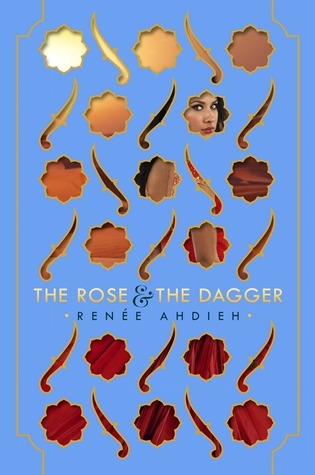 So it is a suspicious surprise when sixteen-year-old Shahrzad volunteers to marry Khalid. But she does so with a clever plan to stay alive and exact revenge on the Caliph for the murder of her best friend and countless other girls. Shazi’s wit and will, indeed, get her through to the dawn that no others have seen, but with a catch . . . she’s falling in love with the very boy who killed her dearest friend. 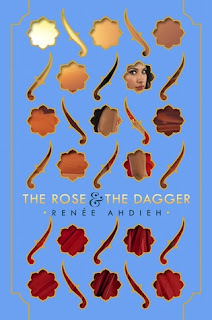 THE ROSE AND THE DAGGER: In a land on the brink of war, Shahrzad has been torn from the love of her husband Khalid, the Caliph of Khorasan. She once believed him a monster, but his secrets revealed a man tormented by guilt and a powerful curse—one that might keep them apart forever. Reunited with her family, who have taken refuge with enemies of Khalid, and Tariq, her childhood sweetheart, she should be happy. But Tariq now commands forces set on destroying Khalid’s empire. Shahrzad is almost a prisoner caught between loyalties to people she loves. But she refuses to be a pawn and devises a plan. No. He was not here to wreak revenge. For revenge was trifling and hollow. No. He was not here to retrieve his wife. For his wife was not a thing to be retrieved. No. He was not here to negotiate a truce. For a truce suggested he wished to compromise. He was here to burn something to the ground. Lo-Melkhiin has taken a new wife, one that took the place of her sister. Her sister is more beautiful and everyone watches her, but no one watches the second sister. So she does everything she can to stand out, so that her sister will not be taken. And she is. Lo-Melkhiin comes to her that wedding night, and does nothing more than take her hands. She lives one night, and another night, and another. Soon she is queen, but she knows that something is not right with Lo-Melkhiin. He is not the same man who went out in the desert years ago, and returned with cruelty in his heart. She must stop him, and with a power she is slowly discovering, she will fight for her life, before he takes it from her. "The world had never seen another like Lo-Melkhiin, and it had no stories to combat him. Not whole stories, but maybe there was something smaller. A thread in the story of a warrior who laid siege to a walled city. A fragment in the story of a father who had two daughters, and was forced to choose which of them to send into the desert at night... There were stories, and there were stories. No single tale that I could draw from would save my sister from a short and cruel marriage, but I had pieces aplenty. I held them in my hands like so many grains of sand, and they slipped away from me, running through my fingers, even as I tried to gather more. But I knew sand. I had been born to it and learned to walk on it... I knew that I had only to hold it for long enough, to find the right fire, and the sand would harden into glass — into something I could use. :"
"Adam Silvera explores the inner workings of a painful world and he delivers this with heartfelt honesty and a courageous, confident hand . . . A mesmerizing, unforgettable tour de force." 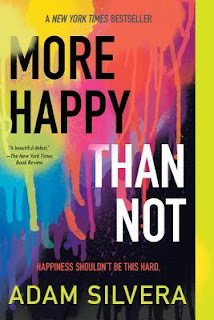 MORE HAPPY THAN NOT is my debut novel, and there was a time where I believed this book was never going to be seen by others after rejections and nonsense. But it's here! And it's about a boy who is considering a memory-alteration procedure to forget he's gay because leading a life as a straight teen would probably be way easier for him. It's about science versus nature, friendship, sexuality, and a quest for happiness. I hope every book I put out into the universe feels as special and FAVORITE-y as this one does to me. More Happy Than Not,which tells the story of Aaron Soto, a high school student in the Bronx recovering from a recent suicide attempt. Aaron has a lot of reasons to feel sad. His father’s suicide, his overworked mother, and his confusing feelings for the new guy on the block. Aaron starts to wonder if the Leteo Institute, which promises revolutionary mind-alterations, might be a good solution to all his problems. 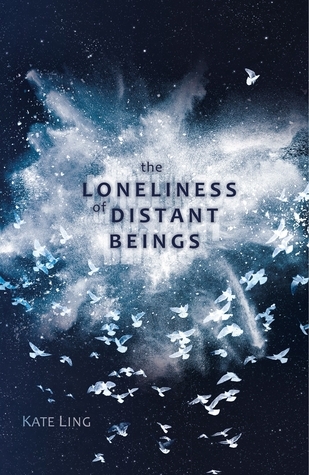 This book deals with a lot of heavy topics like suicide, homosexuality, homophobia, love, rejection, betrayal, self-loathing and domestic violence. It is full! and it also is not a happy book! but it is powerful- very powerful. "If there's happiness tucked away in my tragedies, I'll find it no matter what. If the blind can find joy in music, and the deaf can discover it with colors, I will do my best to always find the sun in the darkness because my life isn't one sad ending - it's a series of endless happy beginnings." Genre: Young Adult- Sci Fi and Love! What is better than having the sun on your face- not a lot. Especially with our gloomy Waikato weather- oh for sun on the face and on your back! What if you needed to feel the sun on you to stay sane- there would not be many sane people in the Waikato that is for sure! Even though she knows it's impossible, Seren longs to have the sunshine on her skin. It's something she feels she needs to stay sane. But when you're floating through space at thousands of kilometres an hour, sometimes you have to accept there are things you cannot change. Except that the arrival of Dom in her life changes everything in ways she can barely comprehend. For a while he becomes the Sun for her; and she can't help but stay in his orbit. Being with him flaunts every rule designed to keep their home in order, but to lose him would be like losing herself. In the end they must decide what is most important: loyalty to the only home they've ever known, or to each other? "Seren has forever lived with her father, elder sister and grandfather aboard the spaceship, Ventura, travelling at a speed more than one thousand km/hr through the dark space to cover the 700 years long journey to a planet which they are going to inhabit. And the residents of this spaceship need to abide by the rules set by the leader of the ship and disobeying those rules might imperil their freedom in the ship. There are so many systems set on the spaceship that are supposed to make the lives of the residents balanced and organized, like the Breeding Program which is supposed to ensure the heritage and the proper lives of the future generation which is done by the help of the computer, a complete random selection of two partners after their basic graduation. And the residents are supposed to work in the spaceship like in the manufacturing or farming or nursing departments and the teenagers are recruited in one of such department after their graduation. Revenge, love, rage, an arranged marriage and a prince. Sounds a bit like Princess Bride! I wonder if there are rodents of unusually large size or pirates! 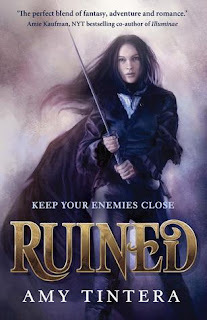 No one feared Emelina Flores, the useless daughter of the most powerful queen Ruina had ever known. Emelina Flores has nothing. Her home in Ruina has been ravaged by war; her parents were killed and her sister was kidnapped. Even though Em is only a useless Ruined - completely lacking any magic - she is determined to get revenge. Her plan is simple: She will infiltrate the enemy's kingdom, posing as the crown prince's betrothed. She will lead an ambush. She will kill the king and everyone he holds dear, including his son. The closer Em gets to the prince, though, the more she questions her mission. Her rage-filled heart begins to soften. But with her life - and her family - on the line, love could be Em's deadliest mistake. Sophie May lives in her little village. Rather than travelling the world or setting off to university excitedly with friends, Sophie has instead stayed in the village of Rosefont Hill, living with her mum and spending her days working at the local teashop. The main reason for this is that Sophie May has a secret she’s been keeping. One day she meets the handsome Billy Buskin – an actor with high ambitions in his life, and as they fall in love, Sophie is pulled away from her village life and thrust into the spotlight. As Sophie is brought into Billy’s world – one which is different from her own – can she handle the attention that having such a public life brings? Molly was my favourite! Molly was so kind, caring and I felt so much warmth radiating from her! She is the definition of ‘homely’, I felt so at home when she was around and in a strange way she brought happiness and comfort to me. I would LOVE to sit in her teashop, I’d probably spend all my time in there drinking tea, sampling the gorgeous cakes and having a chat with the other lovely local people! 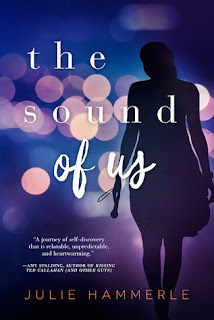 The relationship between Billy and Sophie was beautiful, I could feel the romance and the feelings between them, and I was gushing over their love as I read. I’m certain that like me, many others will fall deeply in love with Billy! He is not only handsome, but he is romantic and thoughtful – Sophie May is a very lucky girl! Billy and Me is stunning. 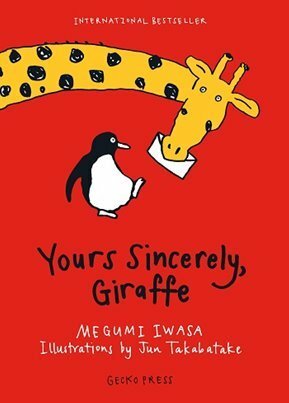 I loved every second I spent absorbed in this wonderful story. 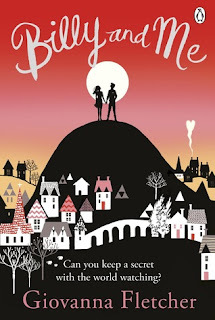 Billy and Me is a delightful novel full of romance, friendship, love and tears. I laughed whilst reading this, and I must admit there were a few moments where I cried too!